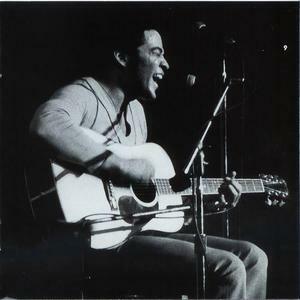 Bill Withers (born July 4, 1938 in Slab Fork, West Virginia) is an American singer-songwriter who performed and recorded from the late 1960s until the mid 1980s. Bill's father died when he was thirteen. He joined the US Navy at seventeen, and stayed there for nine years, before he moved to Los Angeles in 1967. While in Los Angeles, he worked full-time in a Lockheed assembly plant in the day, making toilets for Boeing 747 airliners, then recorded demo tapes and performed in juke joints during the night. Bill's father died when he was thirteen. He joined the US Navy at seventeen, and stayed there for nine years, before he moved to Los Angeles in 1967. While in Los Angeles, he worked full-time in a Lockheed assembly plant in the day, making toilets for Boeing 747 airliners, then recorded demo tapes and performed in juke joints during the night. When he debuted on the music scene with "Ain't No Sunshine," he refused to give up his job at Lockheed because of his belief that the music business was a fickle industry and that he was still a novice compared to other working acts like The Temptations or Sammy Davis, Jr.
His first success was with the company Sussex Records in 1971 with his debut hit single Ain't No Sunshine on the album Just As I Am. He assembled a touring band made up of: drummer James Gadson, guitarist Bernoce Blackmon, keyboardist Ray jackson, and bassist Melvin Dunlap. His second album Still Bill also did well on the charts. It was recorded during a break in the "Just As I Am" tour and included the well-known single "Lean On Me," which went to #1 on the charts on July 8, 1972. His live album, "Bill Withers, Live at Carnegie Hall," released in 1973, was one of the best live albums to be released during the 1970s. Other popular songs he sings are "Use Me" and "Lovely Day," as well as "Just The Two Of Us," which he performed with jazz saxophonist Grover Washington Jr.
His songs have been covered by many singers and rappers. Club Nouveau's 1986 cover of "Lean On Me," which is now often used in many churches, earned Withers his third Grammy as a songwriter. Ten years earlier, the British glam rock band Mud took the song to No. 7 in the UK pop charts. Grace Jones covered his song "Use Me." Fiona Apple has also covered "Use Me" and "Kissing My Love" on her 1998 tour. Me'Shell Ndegeocello sang "Who Is He (And What Is He to You)?" on her 1996 album "Peace Beyond Passion." Will Smith samples Bill's "Just The Two Of Us" in his 1997 song of the same name, and "Lovely Day" with the song "Lovely Daze," (a collaboration with DJ Jazzy Jeff released in 1998). The country singer Kenny Rogers covered "Ain't No Sunshine" in 1999. Kanye West sampled his song "Rosie" in the song Roses". Twista sampled "Lovely Day" in the hit single "Sunshine" featuring Anthony Hamilton. Over the Rhine toured a cover of Ain't No Sunshine" during 2004 and recorded this on their album "Changes Come." When playing live, the band Eskimo Joe often begins their song "A Song Is a City" with KAV singing "Ain't No Sunshine" as a prelude. Bill's song "Use Me" is also featured in the film "Anchorman." The start of the Blackstreet hit "No Diggity" features a sample of Bill's poem-turned-song "Grandma's Hands." To this day, his most popular songs, including "Lovely Day," "Lean On Me" and "Ain't No Sunshine," have been used in countless television advertisements, thereby increasing his popularity as a well-respected artist. He remains one of the most significant and respected singer-songwriters of the 20th Century. Some of his songs, particularly "Lean On Me" and "Use Me", have been performed in churches because of their lyrics covering spirituality and unity.